The bath-house is made from ancient cedars. 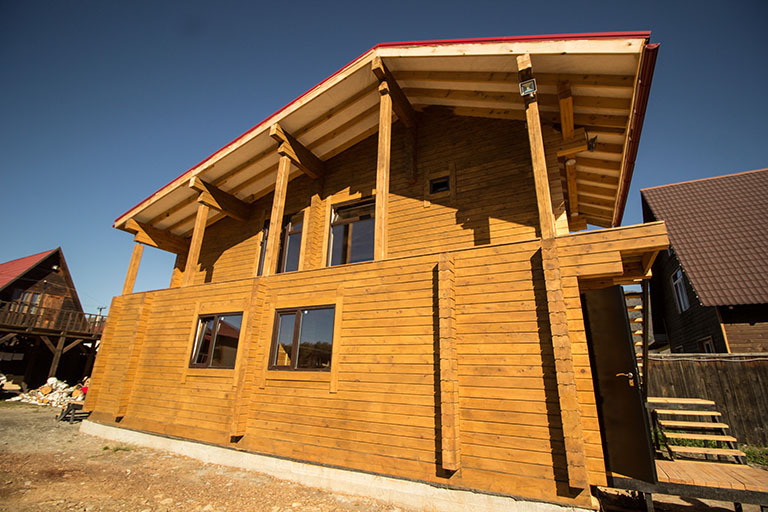 It was built using the oldest method of manual cutting, which helped to preserve all the most valuable properties of wood accumulated for centuries. 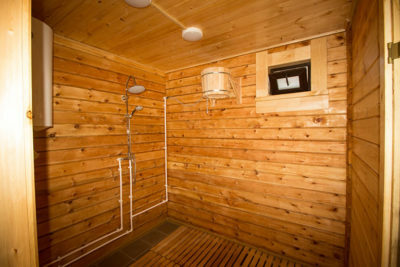 The bathing zone consists of separate steam rooms with jade and jasper stones, a shower room, a relaxation room and a changing room. 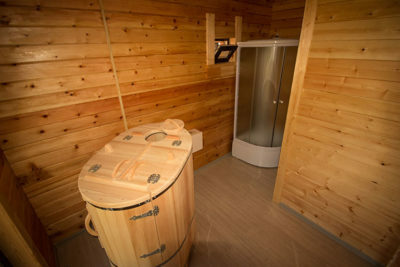 The cedar steam room is beneficial to everyone and helps to get rid of nervous breakdown and stress. Cedar is a donor tree. This is one of the most energetically powerful trees. Cedar is a tree of calmness and high spirit. 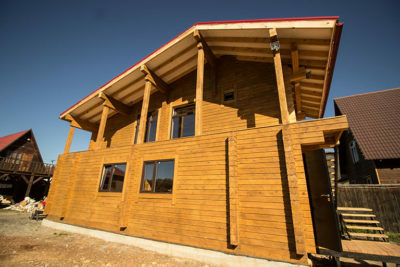 The energy of cedar restores the immunity system and relieves depression. Since ancient times cedar forests have been considered a source of life-giving energy, which enlightens thoughts, cleanses the soul and awakens a person’s spirituality. Fitobarrel | 450 rub for 15 min. Pantobarrel | 650 rub for 15 min. 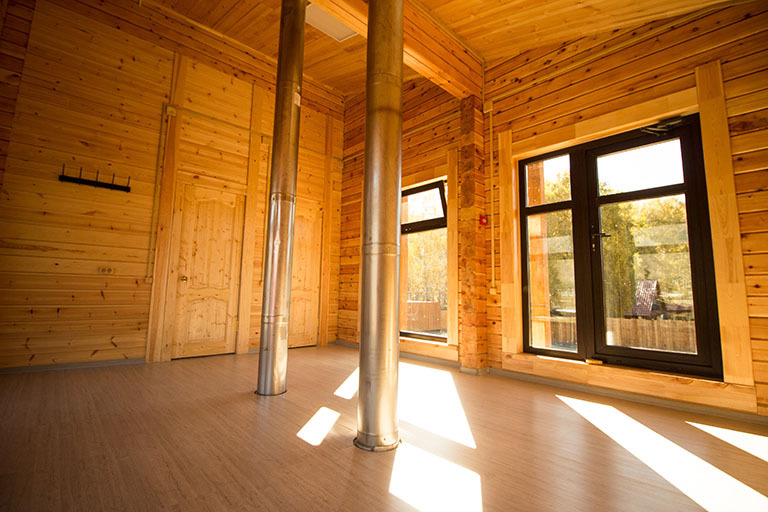 Cedar is a natural antiseptic so in a room where there is cedar, there are no harmful bacteria and the air is practically sterile. Cedar fills the space around with a pleasant, gentle, aroma that has an invaluable beneficial effect on human health. The heater in the steam rooms is made of various stones: Altai round stones collected on the banks of the Katun River in the Altai Mountains and semi-precious stones – jasper and jade. Balanced energy and healing properties of the stones and wood create an unsurpassed atmosphere of comfort, harmony and coziness. 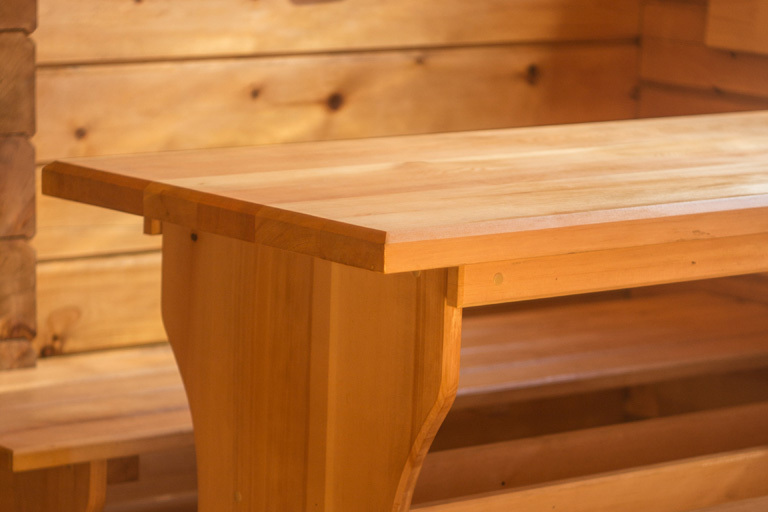 What are the benefits of heating in a cedar barrel? In the modern world, the problem of preserving and restoring health and preventing disease is of vital importance. We are increasingly trying to use the healing power of nature and the long traditions of our ancestors. The method of thermo-aromatherapy plays a special part as the means of restoration and prevention of diseases. 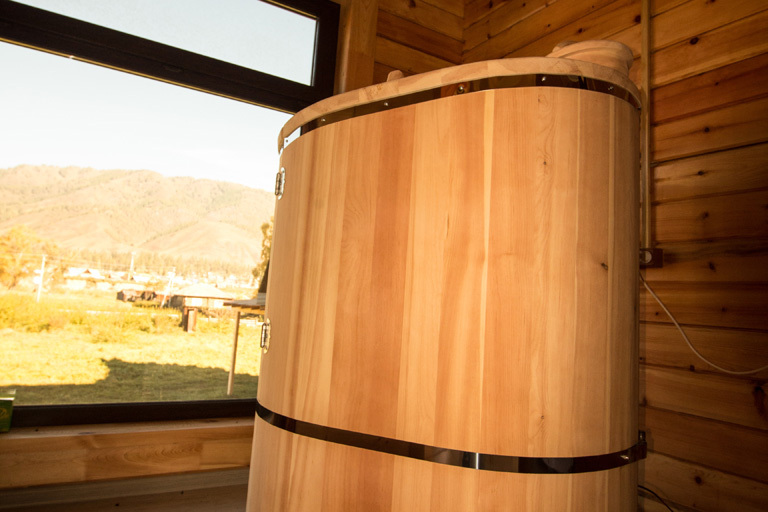 This method can be obtained in our bath-house with the help of a cedar barrel. After the session, you will need to rest. We will treat you with herbal tea in our tea room and give you the opportunity to relax and unwind during spa-treatment. Jasper is a consumer stone, the only stone capable of removing all the negative energy that has accumulated in a person. Jasper relieves fatigue, helps to gain a sense of harmony and inner peace, gives firmness of spirit and wisdom. It is believed that jasper has a beneficial effect on spiritual upbringing, especially that of a child. It instills in children a feeling of love and joy, the desire to learn, protects the child from negative energy. Our ancestors often used jasper in the process of education. They argued that if you put a stone in the bed of a silly student, he will certainly become smarter. And if you put jasper to someone who just does not want to learn, it will “make” him to become more diligent at school. It is also believed that jasper contributes to the development of eloquence, and improves memory. Jasper is also used to attract wealth. Jasper was highly valued in Korea and China, where it was considered a symbol of the secrets of being. All kinds of jewelry, cups and symbols of power were made using the stones. Inserts from jasper on helmets, belts and sword hilts were considered reliable protective charms. By combining and complementing the energy and healing properties of stones and wood, we created an ideal environment that allows us to get rid of the accumulated fatigue, to tone up and restore the body defenses, to achieve harmony and sense of peace. Jade is a donor stone, healer and keeper. Jade creates an invisible shield around a person, which protects him from any negative forces. In the East, it has long been believed that jade helps a person to live in harmony with himself and the surrounding world, favorably influencing the spirit and mind, putting in order thoughts and delivering from the vain fuss. Healers of different time periods attributed universal healing properties to jade. It is believed that this stone can slow down the irreversible aging processes, has a general rejuvenating effect on the body and increases the immune system. The stone also has a beneficial effect on the reproductive power of men and women. Aztecs and Maya drilled holes in their teeth and fastened to them plates of jade to keep their teeth healthy until old age. Some modern lithotherapists explain this by the fact that accompanying elements contained in the stone can reduce the vital activity of microbes that cause tooth decay. The energy of jade can bring sweet dreams, in which you will find the solution to the difficult situation. 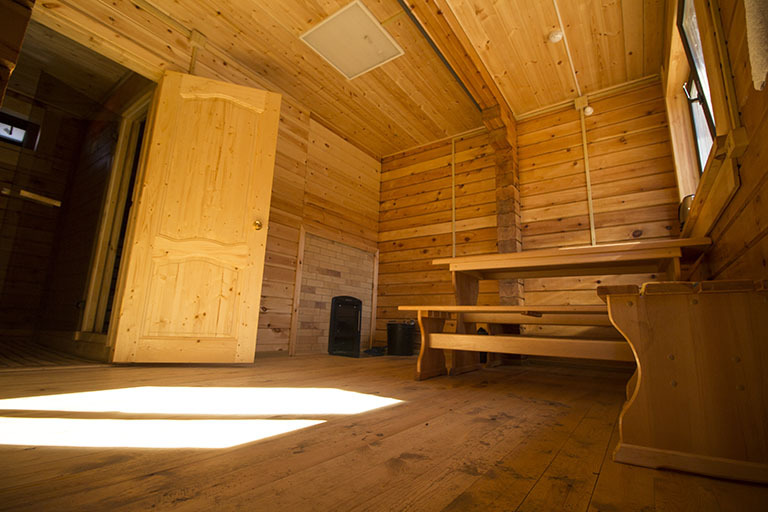 By combining and complementing the energy and healing properties of stones and wood, we created an ideal environment that allows us to get rid of the accumulated fatigue, to tone up and restore the body’s defenses, to achieve harmony and sense of peace.